Please note that there was a mistake in our earlier announcement regarding the inaugural Gita Study Group meeting. The meeting will now be held on Sunday, August 25, which is the Sunday before Janmashtami. 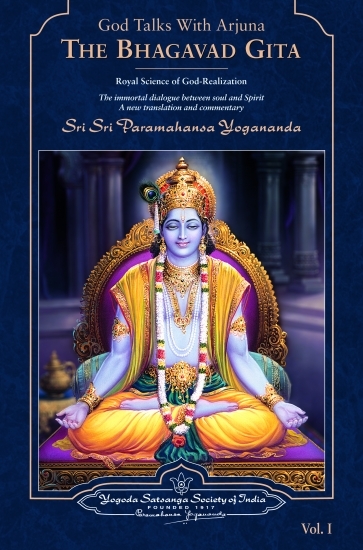 We are happy to announce that the Center Department of Self-Realization Fellowship has approved our plans to initiate a study group of Paramahansa Yogananda's spiritual interpretation of the Bhagavad Gita - God Talks with Arjuna. This group is open to all members and friends who wish to read and meditate upon this monumental work. An information sheet is attached, including a sample program for each meeting. Our inaugural meeting will be held in the chapel on Sunday, August 25 as a prelude to Janmashtami, the birthday celebration of Bhagavan Krishna. We hope that you are able to attend.